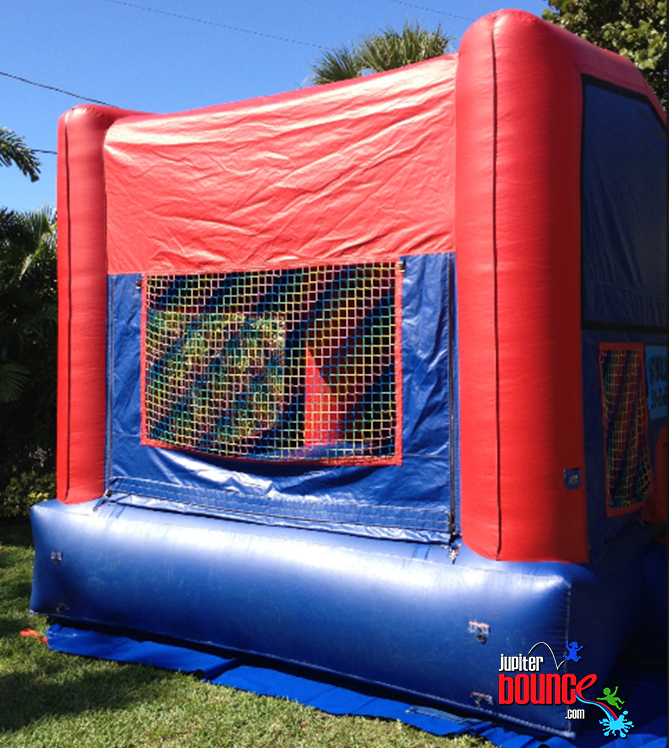 JupiterBounce.com offers a variety of bounce houses starting with our Standard 15x15 Bounce House. This bounce house is JupiterBounce.com's staple unit. JupiterBounce.com would like to introduce its new line of Deluxe 15x15. This new unit offers a unique bounce house experience like no other. This new 2-in-1 basketball hoop combo allows kids of all ages to test their skills with two inflatable basketball hoops, located inside of the bounce house. 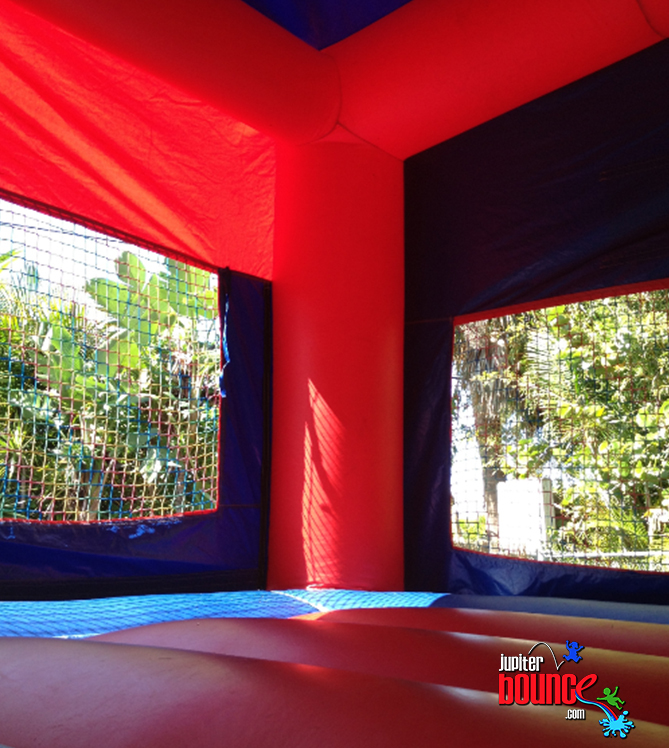 This exclusive bounce house is equipped with castle features as well as the option to customize the front of the bounce house with different theme options.